Bearded dragons are named after the flap of skin below their jaws, which they push forward and ‘puff up’ when threatened. The genus name Pogona comes from the Greek ‘pogon’, meaning beard. There are several species of bearded dragon in Australia. All have a flat body, a broad head and stout legs. Sharp spikes run along the sides of their bodies and their throats. Larger species grow to 60cm long from head to tail tip, but the Pygmy Bearded Dragon (Pogona henrylawsoni) is only 30cm long. Most species have a tail that’s as long as their body. 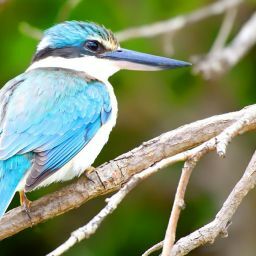 Males are typically brighter in colour than females. Depending on the species, bearded dragons are coloured grey, orange, light brown, brown or black. 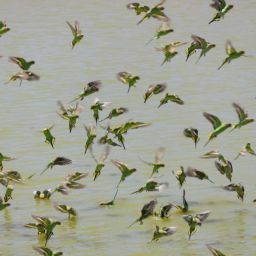 They may change colour when aggressive or threatened. Amazingly, these creatures can also regulate their body temperature through changing their colour: they become lighter in hot weather and darker in cool weather. And this colour change can be rapid: the Australian Museum reports that one specimen changed from yellow to black in a few minutes! Bearded dragons are terrestrial and can run with speed; they’re also adept climbers, scaling trees with ease. Bearded dragons are found across Australia, typically in arid or semi-arid environments. 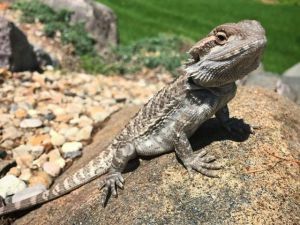 The Dwarf or Western Bearded Dragon (Pogona minor minor) also has a wide distribution: it’s found across most of Western Australia, the western half of South Australia and the Southwest of the Northern Territory. 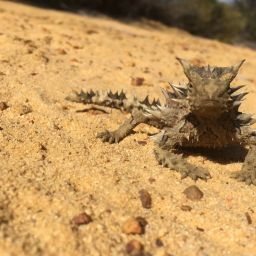 This is in stark contrast to the Pogona minor minima subspecies, which is only found on a handful of islands off the Western Australian coast. Bearded dragons live in woodlands, coastal dunes, heathland, tropical savannahs and deserts. They’re often seen basking on tree stumps, fence posts, branches or boulders. From here they can see predators, prey and mates, all the while soaking up some sun. In colder months, bearded dragons can enter a state of ‘torpor’ or hibernation. After this winter cooling period, bearded dragons emerge and males start strutting their stuff! They flare their beards, bite each other’s tails and bob their heads. Bearded dragons have an intricate system of communication: they bob their head or whole body as a sign of dominance and, best of all, they wave their forearm to show submission! The female lays a clutch of around 10 to 30 eggs in a burrow, which is then filled to hide the nest. There’s some evidence that females can store sperm to fertilise eggs after she lays the first clutch. Bearded dragons are primarily diurnal (day active), though in summer they’re busiest in the early morning and late afternoon. They’re omnivorous lizards: they eat fruits and leaves, invertebrates (such as ants and beetles) and small vertebrates, including other lizards. What does a bearded dragon do when there’s no standing water to drink? During light rain, this clever lizard will stand on its front limbs, its head and tail sloping down so that water runs towards its mouth. They’re said to hold this position for 30 minutes at a time!